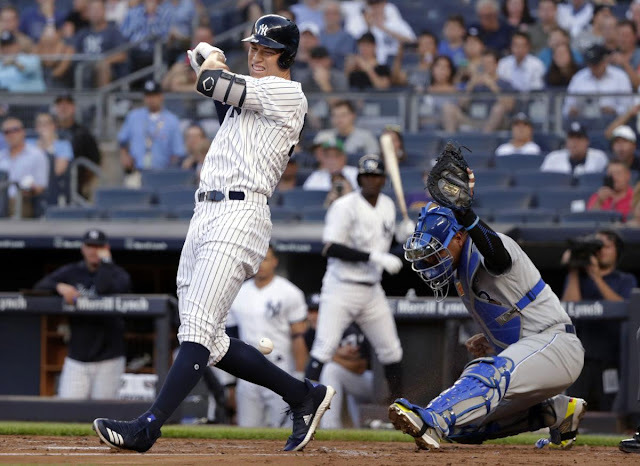 With Clint Frazier on the DL and Billy McKinney shipped north of the border, the only real replacement ready in the lineup is Tyler Austin or Shane Robinson. Many suggest the Yankees should go outside the organization and trade for sluggers like Jose Bautista or Mike Moustakas, but that would require giving up more prospects than they already have for basically a short-term stopgap until Judge comes back. What if the Yankees went outside the organization without giving up assets, maybe a certain former rival? That’s right I am suggesting the Yankees look into righty slugger Hanley Ramirez. The Red Sox let Ramirez go in May, which was a surprising move, to say the least at the time. It came out later that the FBI may have pinpointed Ramirez as a suspect in a drug investigation, but that seems to be just a rumor as USA Today and the Boston Globe have reported that Ramirez is not under federal investigation. The former Yankee killer was slashing .254/.335/.433 with 6 HRs, 23 RBIs, 14 BB and 35 K in 177 at-bats before being released, which makes some wonder, why isn’t he signed? There are some reports that the 12-year vet may not want to play pro baseball anymore, but nothing confirmed, so maybe the Yankees should call Hanley up and see if he wants to help the Bombers catch his former club. Where would Hanley play? He wasn’t the biggest fan of playing first base in Boston, but luckily for him, the Yankees wouldn’t need him to play the field much. Brett Gardner, Aaron Hicks, Giancarlo Stanton, and Shane Robinson are more than capable of manning the outfield until Judge returns, and Greg Bird is an excellent first baseman, which would allow Hanley to primarily fill the DH spot and split backup first baseman duties with Neil Walker. Hanley would typically have also to split the DH role with Gary Sanchez, but the Yankees catcher is on the DL until September so that Ramirez could be the perfect fit in the lineup. 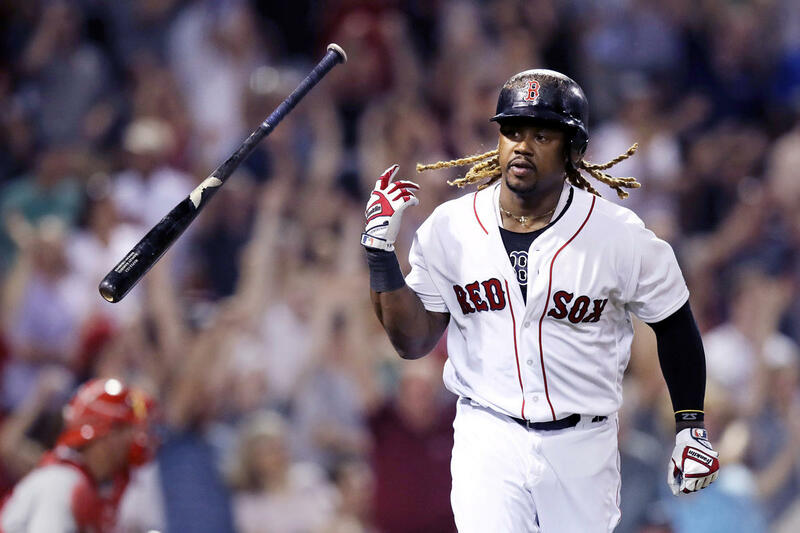 One could guess that Hanley would love to get back at his old squad and help the Yankees take the AL East, and his home run hitting power stroke would do well in the comfy confines of the Bronx. The Yankees have already given up plenty of prospects in the past few days, so trading away more of those for another player may not be the best idea for Cashman, and Hanley would cost next to nothing to sign. The team could also stand their ground until Judge comes back, as their lineup has plenty of firepower already. If Cashman and company decide to be proactive and go full steam ahead to catch the Red Sox, which their recent moves suggest that is their plan, calling up Ramirez to play in pinstripe could turn one of their strongest opponents into an unlikely weapon. Shane Robinson? More than adequate? Really? McKinney would have been more than adequate, but that ship has sailed. Estevan Florial is more than adequate! Shane Robinson? Unless he has broken out in the minors this season he was only MEH in spring training.